they didn't appear on my finish screen? We can't. 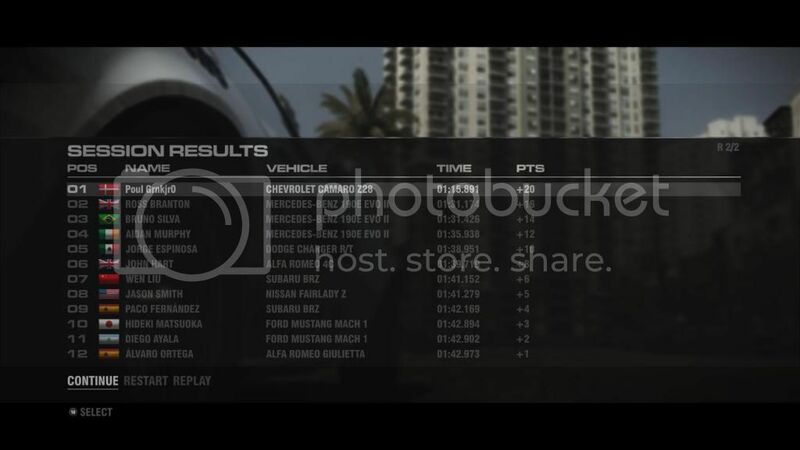 We are limited to the after race screen to prove anything, unfortunately. We will just have to rely on the honor system... ...and videos if needed. Guys, please use the Rules and Info thread for any questions or comments. 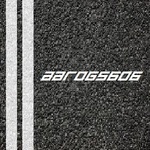 Lets try to keep the Race threads for entries, if possible. Here is my 1st entry - no idea whether it´s fast or not! I know i can do mid 1:15, probably lower. Don't downshift to 2nd Poul, stay in 3rd. I agree that a low 1.15 is possible, but I have a hard time controlling the car with it´s weird sliding. Of course it has to do with my wheel setup, but I have tested several configurations and I am not happy with any of them. 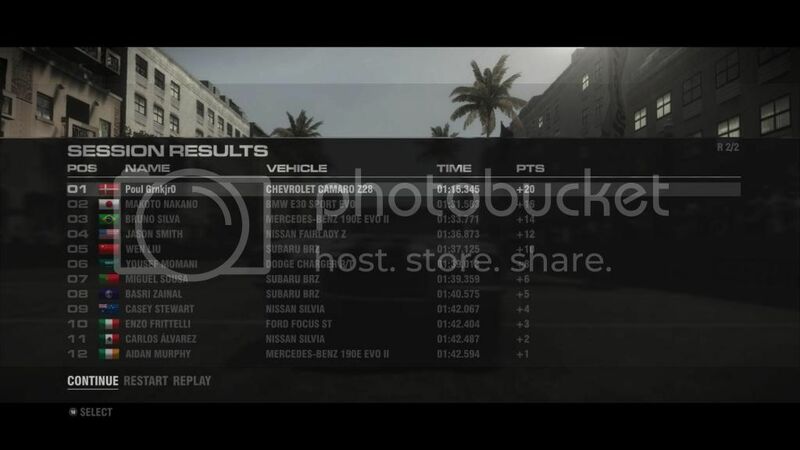 A small improvement, but I have trouble doing 2 laps that are both fast - either 1st lap is all right or 2nd - never both. This one I was slow on 1st lap with a 40.09 - not good when I have done 39.70+ several times. I still downshift to 2nd Aaron. I do not see any advantage in not doing so - and honestly have a really hard time cornering with control - without a downshift. Getting closer to my limit here.. 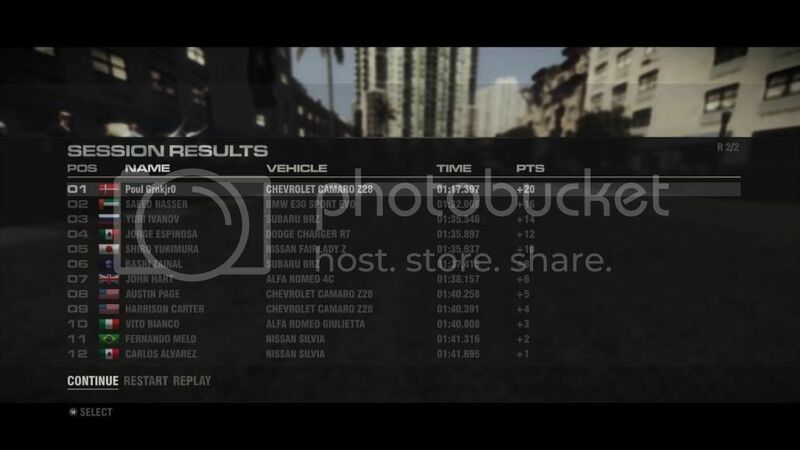 I would keep trying this race if this game did'nt piss me off so much, my 2 best laps equal 1:14.6xx. It's impossible to put 2 consistent laps together is this game. If anyone wants to see the video i'll upload it, but i won't otherwise. I would like to see how you corner in 3rd and compare it to my video Aaron. I will upload it sometime this week, probably thursday, but if i get home at a decent time, i will try tonight. I have a busy next 3 days. 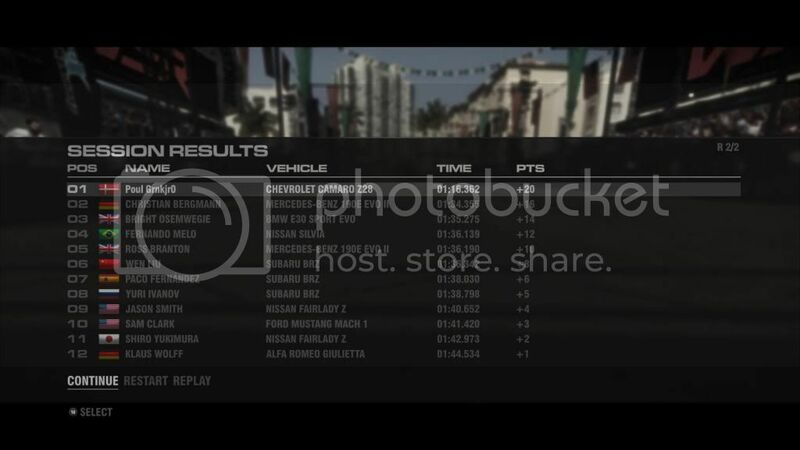 Its not the best video to compare to as i have done both laps faster in the first corner. I can tell you that on good laps i can stay mid 90mph, faster than top speed in 2nd. We basically take the same lines in all corners. My best 1st laps were all 39.60+ - and done using 2nd gear. I was never able to take 2nd lap in 3rd - it simply slided too much - even when braking hard. Looking forward to that video. I think the next event will show how important wheel setup is in this game. 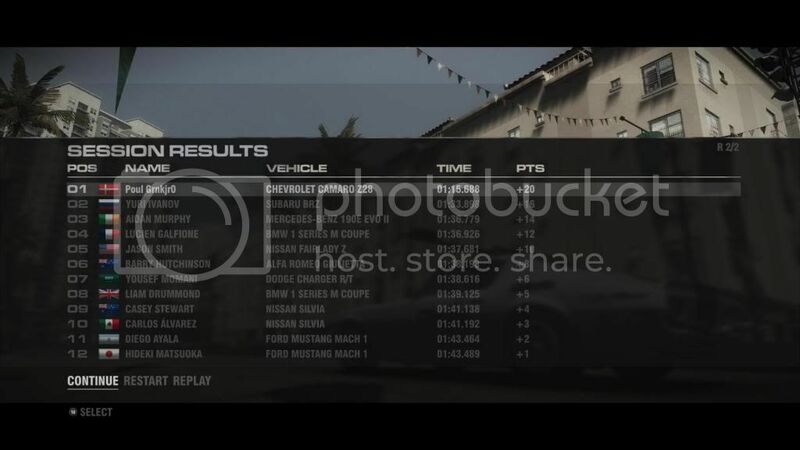 My best 1st lap was 39.17 and best 2nd lap is 35.4x. Yes, 2nd corner on 2nd lap is hard and where i usually have to restart, but done correctly, makes for a fast lap. 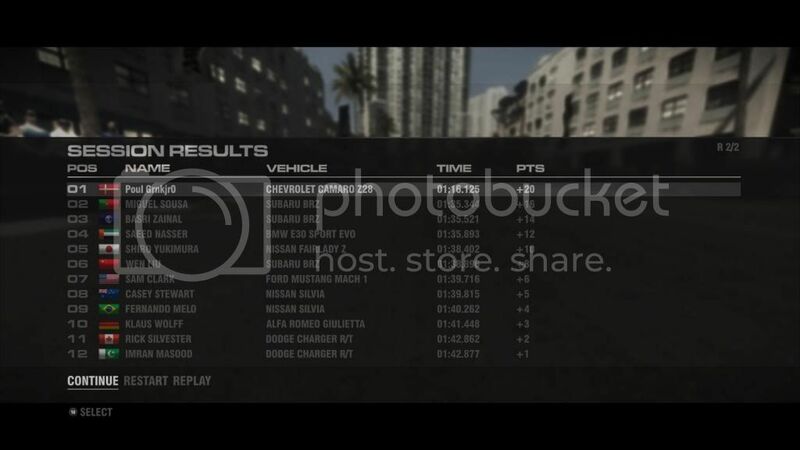 I will probably try this race again, because i know i can get below 1:15. I should'nt have waited until last minute to do the race.